Former Governor of Sokoto State and also a 2019 presidential aspirant under the Peoples Democratic Party, Alhaji Attahiru Bafarawa has stated that the Senate President, Bukola Saraki, can not resign from his office. While speaking with newsmen in Abuja, on Thursday, as part of his campaign strategy to win the party’s presidential ticket for 2019 general election, he said his agenda if he gets voted in as the president is to implement the party’s manifesto and the Nigerian Constitution. 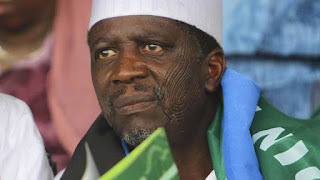 Bafarawa stated that the Sokoto State Governor, Aminu Waziri Tambuwal, was the Speaker of the House of Representatives when he defected from PDP to the All Progressives Congress and he did not resign his speakership. “It would be unfair for Saraki to resign his Senate President’s position. Tambuwal did not resign as the speaker when he left the PDP for APC. So, why should Saraki resign for defecting from the APC to PDP? No one harassed Tambuwal. Why should Saraki be harassed now?” Bafarawa questioned. He further stated that he felt insulted as a founding leader of APC who served as the Chairman of the Constitution Drafting Committee of the party, that he was asked to hand over the leadership of the party in Sokoto to a former Governor, Sen. Aliyu Wamakko.